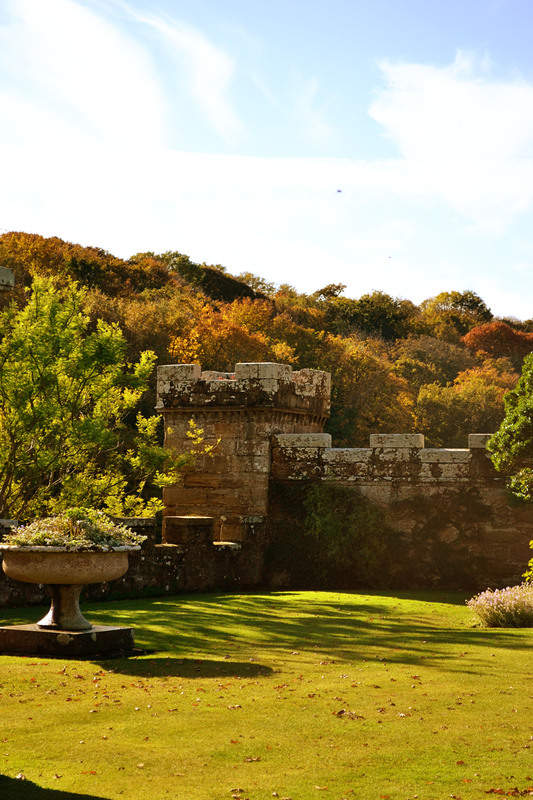 Culzean Castle | Que Sera Sara? When Bean moved jobs last summer, his colleagues gave him membership to the National Trust for Scotland as a parting gift. Every property in their care from castles and gardens to ruins and abbeys is now free for us to visit as often as we like for a whole year. We’ve explored the properties close to home on the odd weekend, but yesterday we decided to go all out: a day trip to the far side of the country (which is still only a couple of hours drive; Scotland is small) for picnics, seascapes, the obligatory castle, and a local Apple Festival. 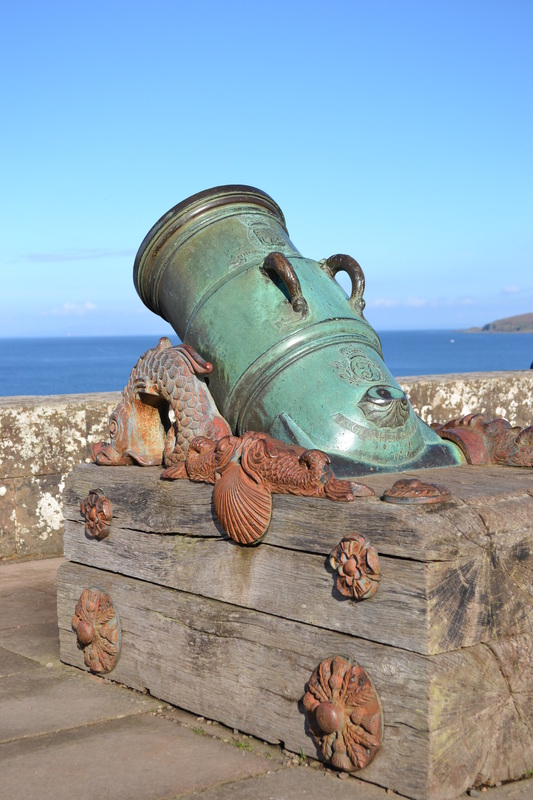 Culzean Castle is the sort of place one spouts clichés about. A large, imposing castle sits above the Irish Sea. A sumptuous fountain is backed by lush tropical greenhouses, the austere fortifications crumble romantically into the rolling waves. Every inch of it is old world charm. Culzean (Cull- as in The Conqueror; -ain as in rain) is a funny place, though. The z in its name, for a start, is a total mystery. It certainly wasn’t included in Robert Adam’s original drawings, which are on display. In the design stages it was written Cullean, and no one on the estate seemed to know from whence the z came in the subsequent years. Regardless of how it’s spelled, the house and grounds make for a wonderful day out. 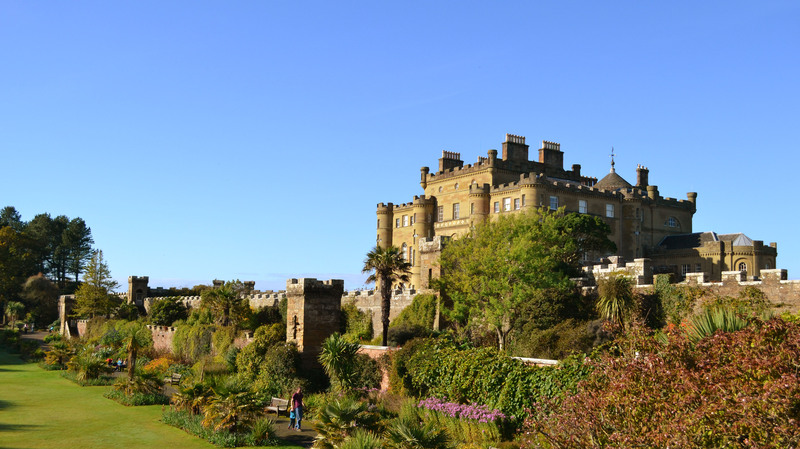 Culzean has been owned by Earls and Marquises for generations, Kennedys by blood, and was the summer vacation home of President (then General) Eisenhower once upon a time. The castle was refurbished and enhanced by Robert Adam, the poster boy for Neoclassical architecture in the 19C, and sports some fine drawing rooms and spectacular views behind its towering facade. Adam’s round drawing room with sea on all sides is the stuff of dreams, and the friendly guides have hidden a LEGO man somewhere in every room to help youngsters traverse the endless brocades and portraiture with gusto. The front hall is the second largest armory on display anywhere in Britain – crisscrossed with rows upon rows of swords and sabres. They are woven into wide floor-to-ceiling columns, like shiny laces on the backs of giant corsets. When confronted by 500 blades upon entry it’s intimidating and impressive. Even more so when the sheepish teenage guide explains most were purchased for practical reasons: they were bought from from the Tower of London weapon stores in the event of a Napoleonic sea attack. 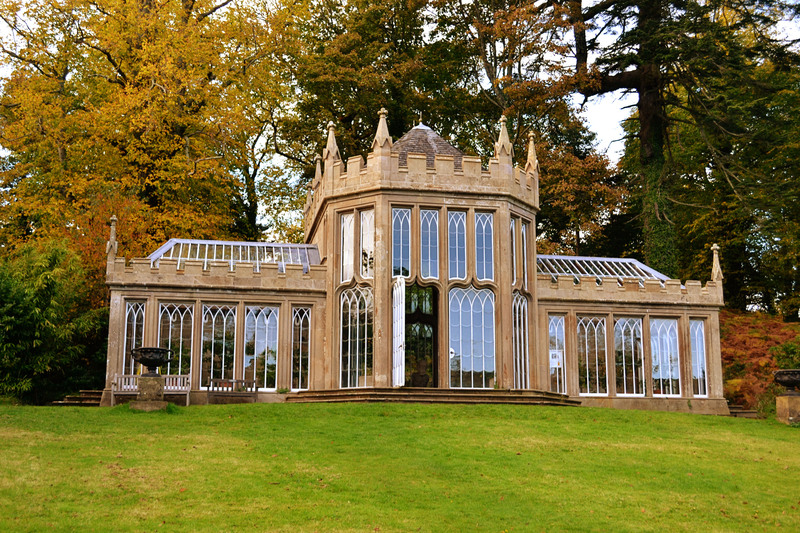 The country park has miles of woodland, gardens and greenhouses around it, including a deer park and swan pond. 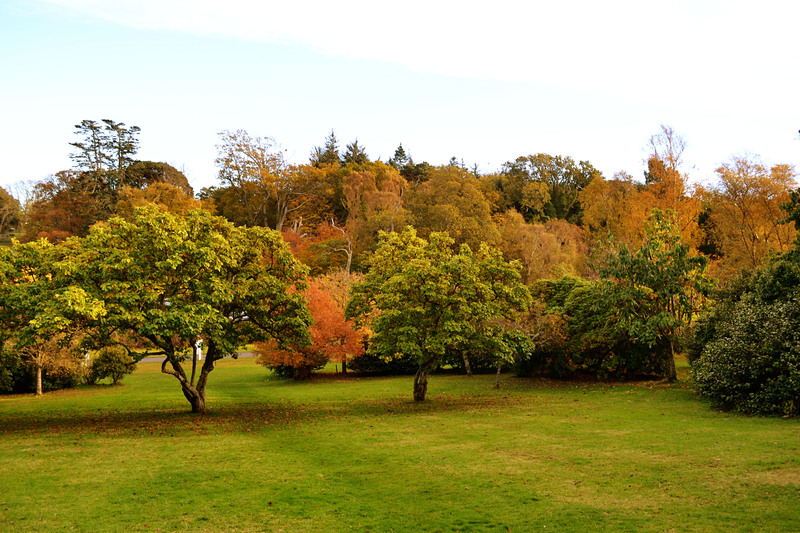 We saw perhaps a tenth of the grounds and I can’t wait to explore further afield. 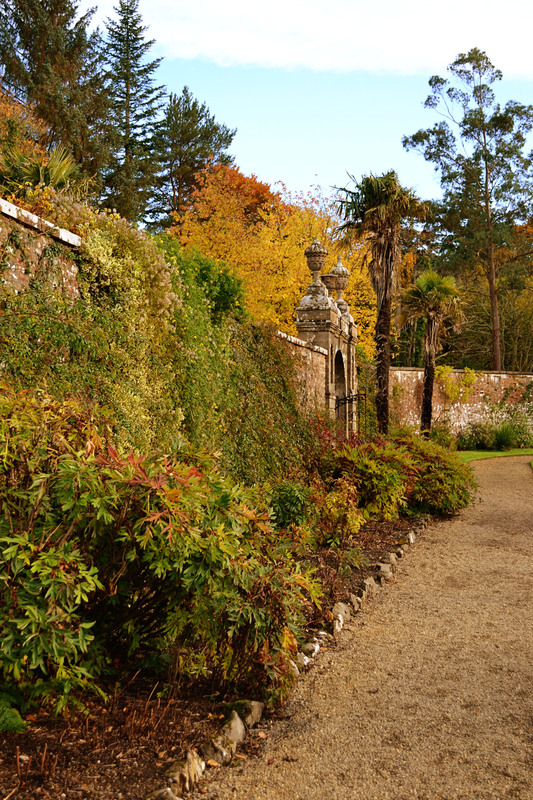 Given the range of landscaping and variety of verdure it will be delightful all year round. Can you believe this is a back-lot greenhouse for lemons and limes? You should have the seen the one for grapes. While the woodlands and parks are open for wandering in winter, the castle itself shuts up shop from Halloween to Easter. I maybe happy tromping in rock pools and foraging for chestnuts, but Bean is very keen on ogling Chippendale furniture, gazing at stucco and other Historic House-type pursuits. Hence, we hied ourselves thither before the season ended for one of the final flings of the season, and I’m so glad we did. Definitely worth the visit. 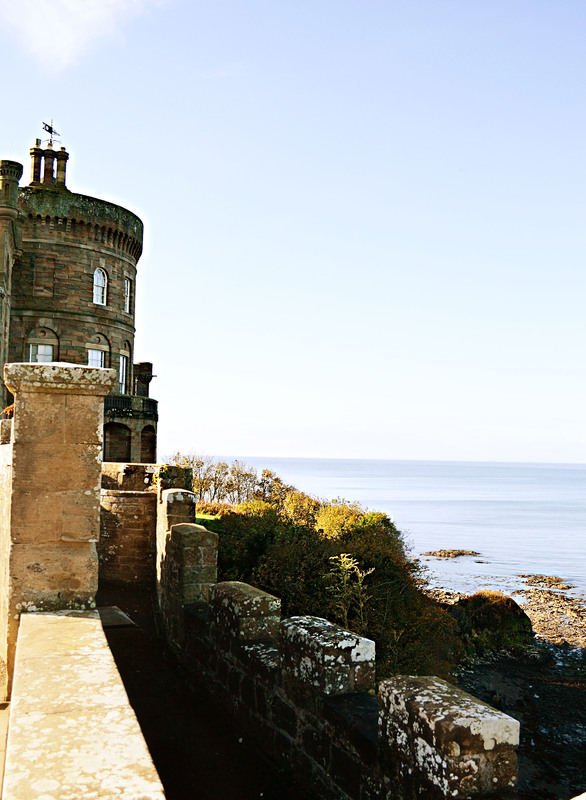 Culzean Castle is in the National Trust for Scotland portfolio. The castle is open from April – October daily (usually 10:30-5, but do check the website); the grounds are open daily year round. Admission is included in NTS membership. National Trust (England) memberships are also honored. Daily admission runs £15.50 for house and grounds or $10.50 for just the grounds (parking’s included), with concessions and children’s tickets available.